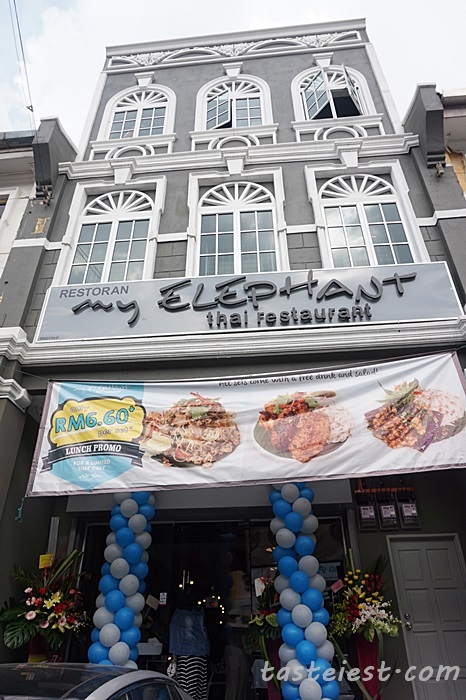 Congratulation to myElephant Thai Restaurant on their grand opening of the 6th myElephant Thai Restaurant located at Ipoh, Jalan Lau Ek Ching. 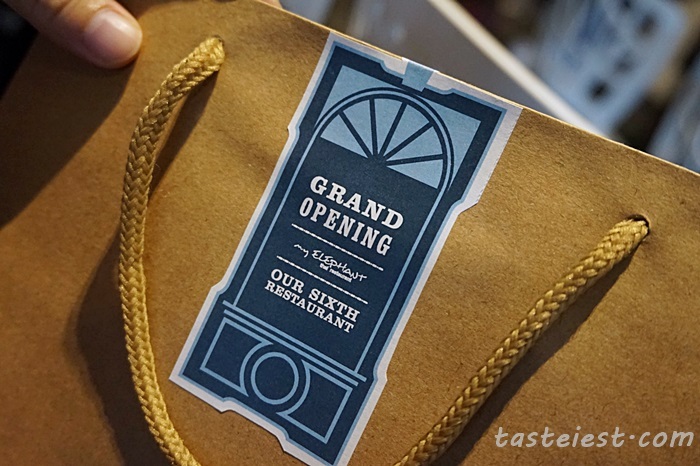 The new myElephant Ipoh located at the heart of Ipoh City close by Restoran Foh San, which bring the first branch outside of Klang Valley. 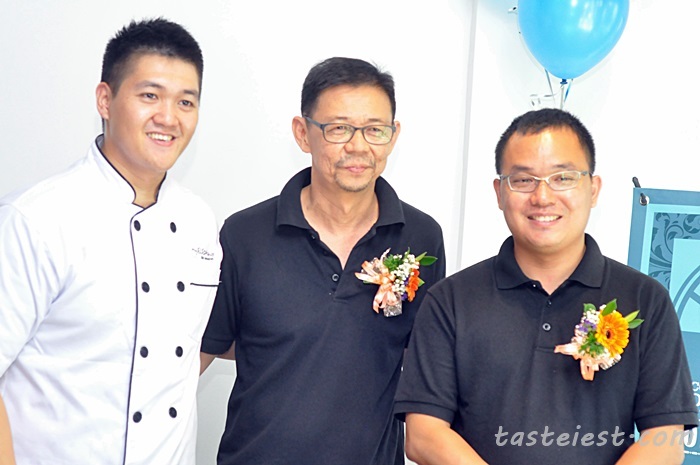 My Elephant Thai Restaurant is a pork-free traditional Thai cuisine restaurant started at SS17, Petaling Jaya from 2007, now they have restaurant at Sri Hartamas, Aman Suria, USD, Subang and Ampang. 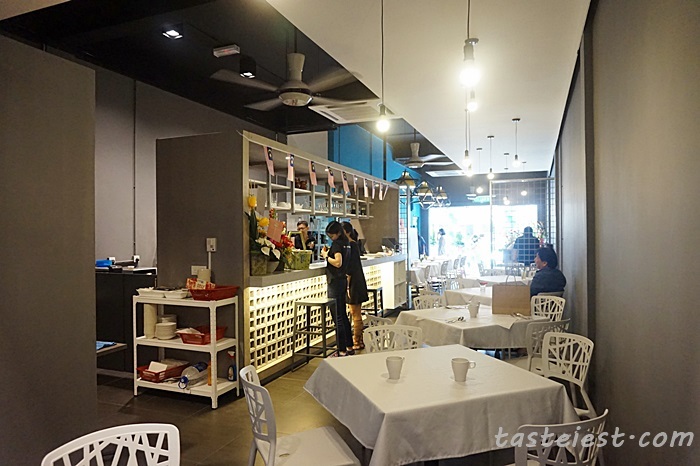 myElephant Thai Food Restaurant Ipoh created a restaurant with great ambiance and emphasize on simple family/friends gathering restaurant. Fully air-conditioned restaurant with table and chair painted with white color that gave a clean feeling. 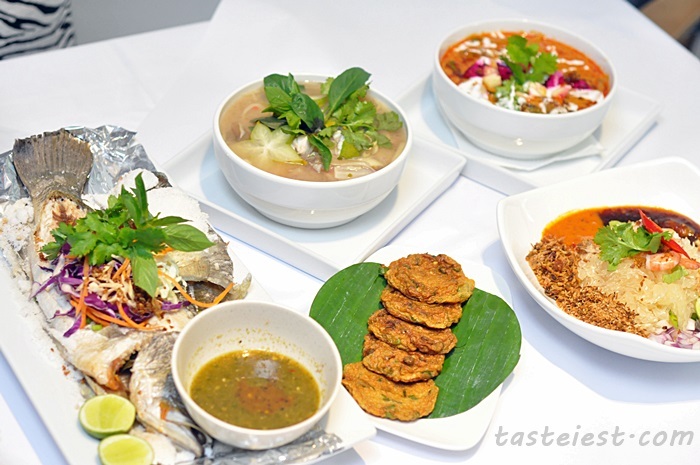 During the launch, Kenny Loh, Head Chef of myElephant showcase their signature dishes such as Yum Som orr, Tod Man Plah, Tom Som Seafood, Snow Fish, Gaeng Phet Yaeng which are their signature dishes since the very first day of myElephant opened for business. 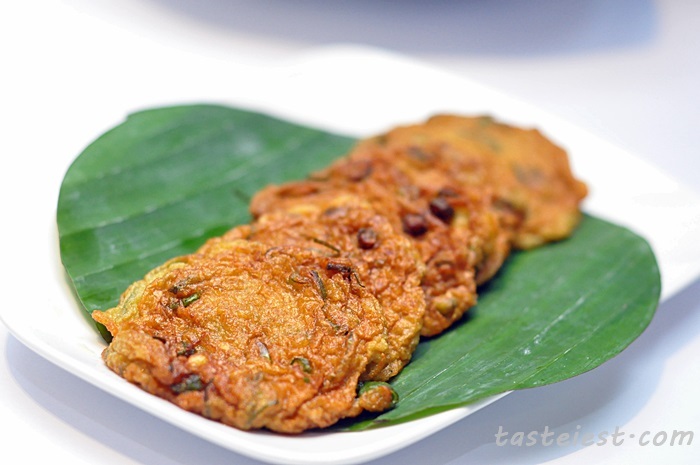 Tod Man Plah, handmade Thai Fish Cake always a tasty choice of appetizer which are made from blended fish meat with assorted seasoning then deep fried to perfection, it has mild kaffir lime and curry flavor. Yum Som Orr (Pomelo Salad), a tangy salad that surprise all of us. 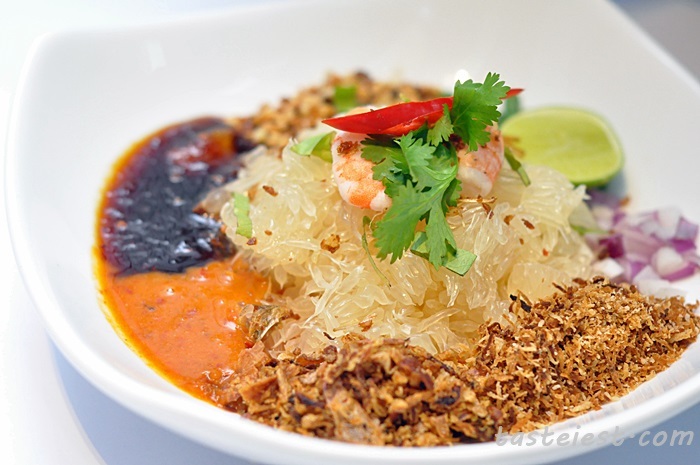 Great use of Pomelo to replace green papaya since Pamelo has the “pop” texture instead of papaya crunchy texture which has better texture and flavor, season with deep fried shallot, onion, peanut, spring onion and lime with sweet and spicy sauce is just awesome. 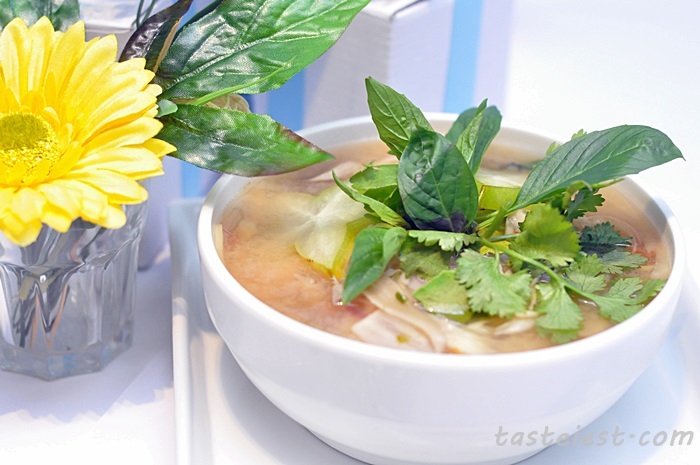 Tom Som Seafood, a combination of clear galangal, lemongrass, lime soup and Thai herbs served with seafood. Immediate after a spoonfuls of the soup we can feel the spicy and sour taste, it is pretty strong in flavor and inside the bowl of soup are squid, fish meat and prawn. 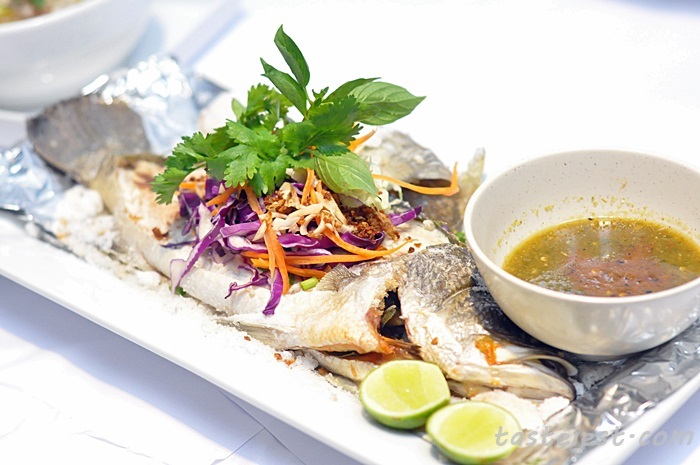 Snow Fish (Salt-Baked Fish), salted-baked whole Seabass served with signature green chili sauce. In Ipoh Salted Chicken is very famous but in myElepahtn Salted Fish is their signature dish, gave it a try and compare whether you like Ipoh Salted Chicken or myElephant Salted Fish, share with us which is better. 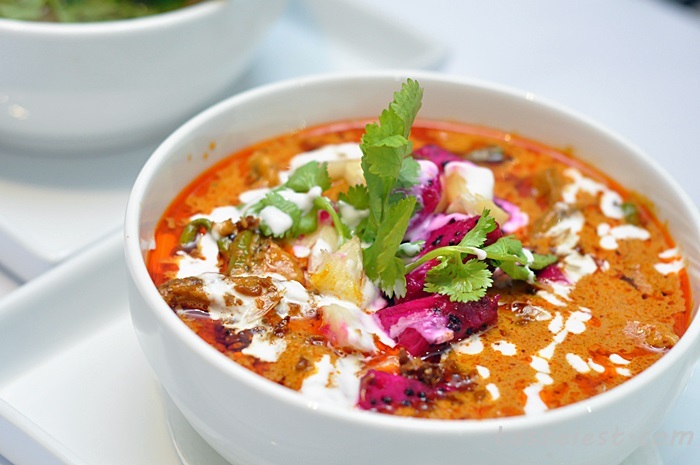 Gaeng Phet Yaeng (Roast Duck Curry), very creamy curry sauce served with roasted duck. This is the very first time we ate roasted duck served inside curry sauce, normally chicken are use but in myElephant roasted duck are added and it is surprisingly good. Roasted duck itself are flavorful, dipping inside creamy curry sauce making it taste even better. 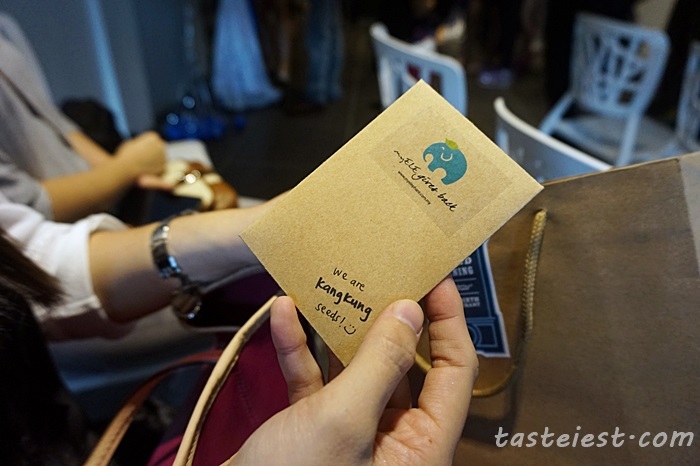 Bringing home a goodies bag that came with a pack of Kangkung seed, I really love the idea of giving away seed.